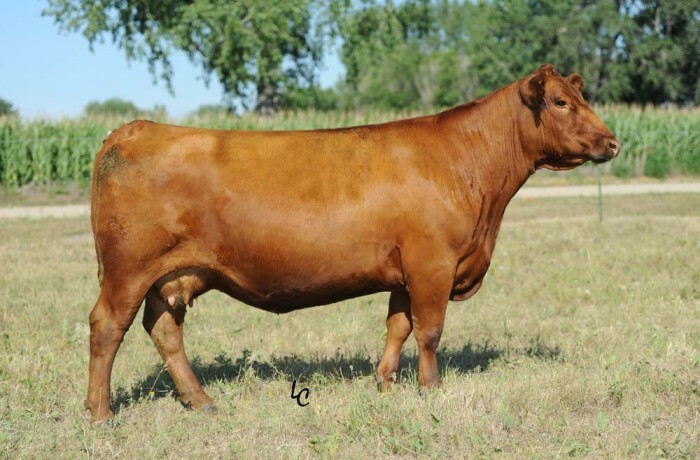 This Sequoia daughter is very close to red Simmental perfection. She is a powerfully constructed cow yet is full of femininity and style. She has an ideal udder structure and sound feet and legs. Her young Beef King daughter quickly moved to the donor pen at Hooks and now resides in TX. 36U was a top selling female in their 2013 mature cow dispersion. We are excited to move forward with her fresh pedigree and phenotypic potential.